1 Sam. 4:1 mentions a Philistine encampment at Aphek, when the Philistines drew up in battle array to meet Israel. Apparently the site of the battle itself was between Ebenezer and Aphek. Israel was defeated soundly in two back-to-back battles there. Our photo shows Aphek at bottom and left; view is from the south. As you look to the north you are seeing the Sharon plain. The modern highway at this point is following the route of the ancient Via Maris. Aphek at lower left. View from south. Photo by Leon Mauldin. I earlier posted on Aphek here. Aphek became Antipatris by NT times (Acts 23:31). See also Ferrell Jenkins’ post here. 1.In 1923, Albright’s survey confirmed identification of the site as Aphek. 2.From 1935 to 1936, J. Ory, an employee of the British Department of Antiquities, dug two test pits in two areas on the north side of the site, in connection with the British pumping station. 3.The Palestine Department of Antiquities excavated in 1946. 4.In 1961, A. Eitan excavated for the Israel Department of Antiquities. 5.From 1972 to 1985, a major excavation was carried out by Moshe Kochavi of Tel Aviv University. An important station on the ancient Via Maris, mentioned in the list of Pharaoh Tuthmosis III. The King of Aphek was one of the 31 rulers of Canaan vanquished by Joshua (Josh. 12:18). The Philistines gathered their armies there to go into battle against Israel (1 Sam. 4:1; 29:1). Scholars believe that in both cases Aphek in the Sharon is referred to. In a later period the place is mentioned in one of the inscriptions of Esarhaddon, and also in a letter written in Aramaic that was sent to Pharaoh before the Babylonian conquest of Palestine. Early in the Hellenistic period a fort on the border between the districts of Samaria and the Sharon was built at this place, then known as Pegai. John Hyrcanus I conquered it in about 132 BC. At that period it was also known as Arethusa, both names implying that it was built near rich sources of water, as indeed it was. After the conquest by Pompey in 63 BC the town of Arethusa was rebuilt. When Herod the Great ascended to the throne he built a new city at Arethusa, renaming it Antipatris, after his father Antipater. This new city became the center of a district with many prosperous villages. In the later Roman period it was named Antipatris Antoniniana, probably after Elagabalus. The Mishna mentions it under the name of Mei Piga, the Waters of Piga. 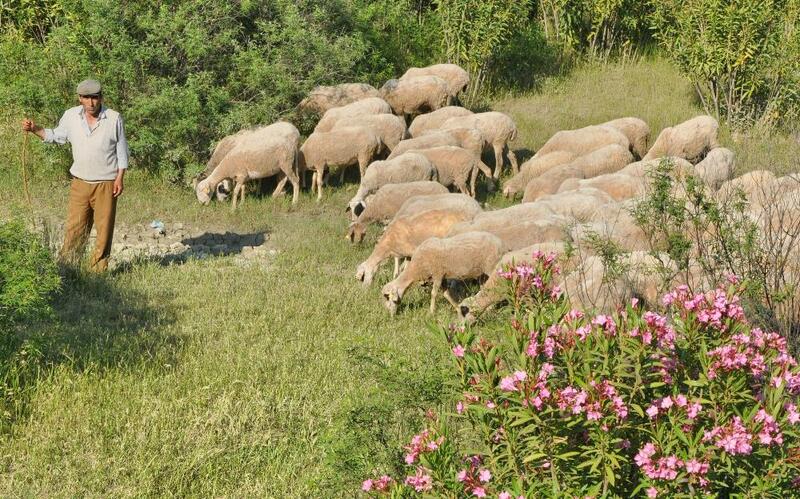 Aphek-Antipatris is identified with Tell Ras el-Ain, which is rich in springs and vegetation. The sizeable mound is now occupied by a large Turkish citadel, built on the remains of a Crusader castle. Trial digs unearthed remains from the Bronze Age to the Roman period, including a large Roman mausoleum. Extensive excavations were carried out on the site in the years 1974–84 by M. Kochavi on behalf of Tel Aviv University and American archaeological institutions. The earliest remains on the site are those of a city wall of the Early Bronze Age found in the northern part of the mound. On the acropolis on the western part of the mound were discovered a series of palaces. The earliest of these palaces belongs to the Middle Bronze Age IIA. Its walls are 4 feet thick, and are still standing to a height of 5 feet. The palace consists of a central hall with a roof supported by two columns. Numerous rooms are grouped around this spacious hall. It was destroyed by a fierce fire in the middle of the 16th century BC. Two city walls also belong to this period. Above this palace another, larger palace was built in the Late Bronze Age. This spacious building contained numerous rooms; a staircase tower gave access to the rooms on the upper story, where the princes of Aphek lived. North of the palace was a spacious court, and another service building east of it. Wine presses discovered nearby and numerous grape pips uncovered in the ruins of the palace attest to the existence of a wine industry. In the ruins of the palace were discovered Egyptian, Hittite and Accadian documents, among them a cuneiform bilingual, Sumerian-Accadian dictionary, and a fragment of a trilingual Sumerian-Accadian-Canaanite dictionary. This is the only known multilingual dictionary which includes the Canaanite language. Most of these documents date from the 14th–13th centuries BC. The acropolis was destroyed at the end of the 13th century BC. Scanty occupation remains are found from the end of the Late Bronze Age. A small faience plaque discovered in the Early Iron Age level bears the names of Pharaoh Rameses II written in ink and a dedication to the goddess Isis, indicating the possible existence of a temple dedicated to this goddess. In the 12th century BC Aphek was occupied by the Philistines. The new city consisted of various quarters each built according to a different plan and different standard of construction, and each apparently inhabited by a different class of citizens. The houses were almost square and consisted of a large front hall with smaller rooms in the rear. The poorer houses were oblong structures, set closely together, and built with thin walls. In this quarter were discovered fishing-net weights, copper fishing hooks and tortoise shells. Numerous storage bins from the 10th century BC, the Israelite period, testify to the conquest of the site by David. Two levels containing dwellings were found from the time of the United Kingdom. Above the ruins of the Middle Bronze Age II palace were discovered two Israelite houses of the four-room type, from the 10th and 8th centuries BC. In the higher levels of the mound Ptolemaic, Seleucid, Hasmonean and Herodian levels were encountered. In the Herodian period the city was laid out along a new plan. At the junction of the main streets was the forum; it was rebuilt in the Late Roman period. One of the streets leading to the forum was lined with shops. In the time of Herod Agrippa I the street was repaved and workshops were built along it. The city declined after the fall of the Second Temple and was not rebuilt before the 2nd century AD. From the Roman period large sections of the cardo, the main street, were discovered. A theater stood at the southern end of the street. From this period a market and a quarter for the wealthier citizens were also found. In AD 363 the entire city was destroyed in an earthquake. Click image for larger view. Happy New Year! I love to study 1 Samuel, though there is much sadness in it. For example, in the days of the Judges when the Philistines defeated Israel at Aphek, God allowed the Philistines to take the Ark of the Covenant (1 Sam. 4:11). Contextually, God permitted this because of Israel’s apostasy. Meanwhile the Philistines triumphantly took the Ark to the house of their god Dagon at Ashdod. The god was providentially broken, and the residents of Ashdod became sick, so they moved it to Gath, with the same results there; tumors broke out on them (1 Sam. 5:1-9). Next it was moved to Ekron: “So they sent the ark of God to Ekron. And as the ark of God came to Ekron the Ekronites cried out, saying, ‘They have brought the ark of the God of Israel around to us, to kill us and our people'” (v.10). The next chapter (1 Sam. 6) narrates how the Philistines had kept the Ark to their full satisfaction (! ), and thus returned it to Israel’s territory. I had the opportunity (along with Ferrell Jenkins) to make a personal study trip to Israel in 2009 that included Ekron, Tel Miqne. 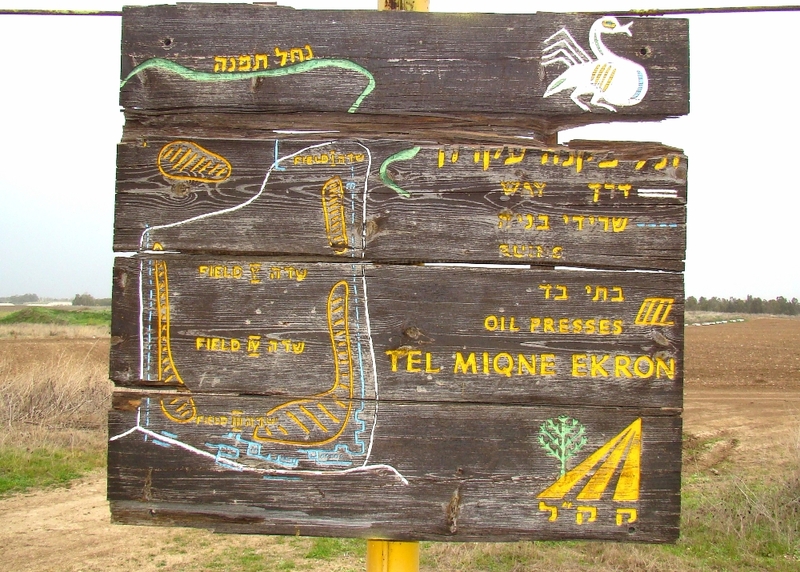 Ekron info sign at site. Photo by Leon Mauldin. Though originally in Israel’s territory at the time of the Conquest led by Joshua (Josh. 15:11, 45-56), Ekron was later in the hands of the Philistines by the time of the Judges. Ekron was one of five cities of the Philistine Pentapolis: Ashdod, Gaza, Ashkelon, Gath and Ekron (1 Sam. 6:16). Ekron is a large tel, composed of about 50 acres. It was known for its olive oil industry. 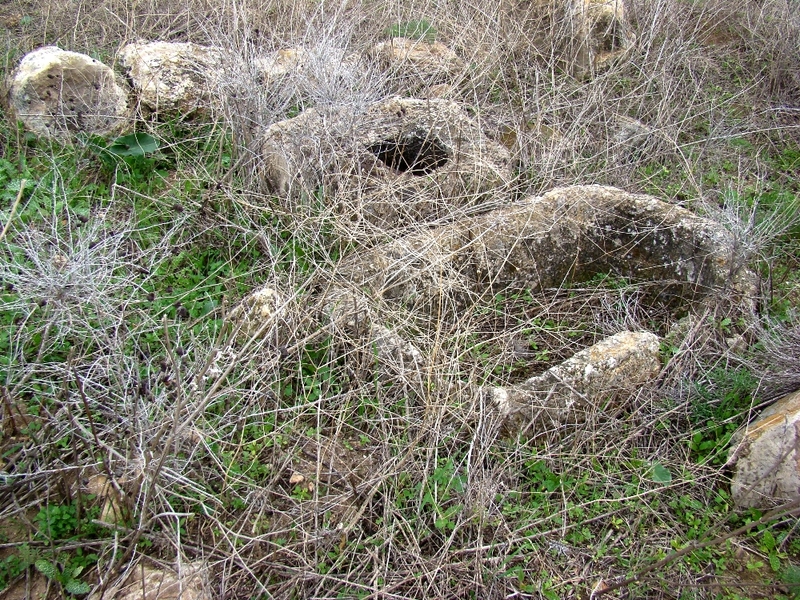 Remnants of olive oil industry at Ekron. Photo by Leon Mauldin. Northernmost of the five major Philistine cities known as the Pentapolis. The site of ancient Ekron has been much debated but now is generally agreed to be modern Tell Miqne, about 14 miles inland from the Mediterranean Sea and 10 miles from Ashdod. The site is one of the largest in Palestine, covering some 50 acres. 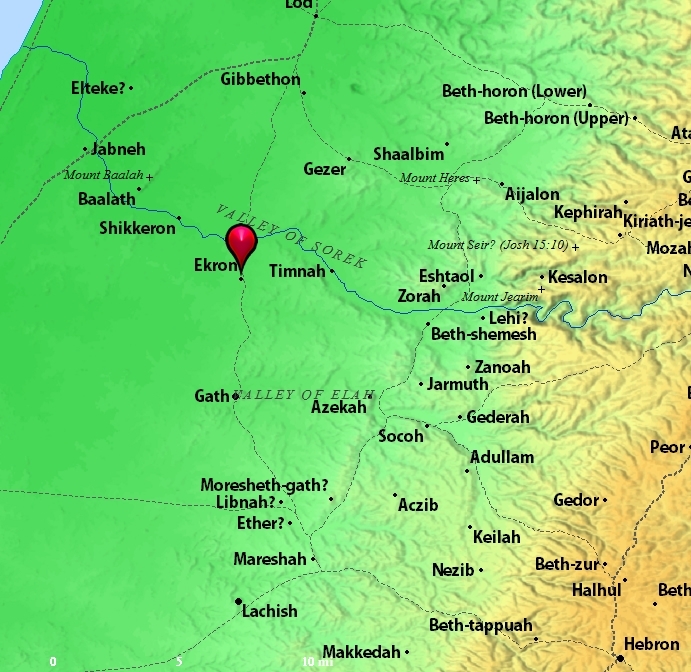 Ekron lies on the road leading from Ashdod into the Judean hill country and up to Jerusalem through the Sorek Valley. Ekron was assigned to both Judah (Josh. 15:11, 45–46) and Dan (Josh. 19:43) in the tribal allotments. It probably lay on the border between the tribes. Judges 1:18 reports that Judah captured Ekron along with other parts of the Philistine coast, but Ekron was certainly in Philistine hands at the time the ark was captured (1 Sam. 5:10). It was also the place to which the Philistines retreated after David slew Goliath (1 Sam. 17:52). Ahaziah, the son of King Ahab of Israel, called on the god of Ekron, Baal-zebub, when he was sick (2 Kings 1:2–16). Excavations at Tell Miqne have discovered much pottery that is typically Philistine. From the last period before Tell Miqne was destroyed by the Babylonians, the excavators found an important industrial complex near the city gate. A hoard of iron agricultural tools was found. Hundreds of whole pottery vessels were present. Perhaps most importantly, a well-preserved olive press was discovered. This press is the largest and best preserved known in Israel. A horned altar was also found during the excavations. (pp. 469–470). Click on images for larger view. Happy New Year! 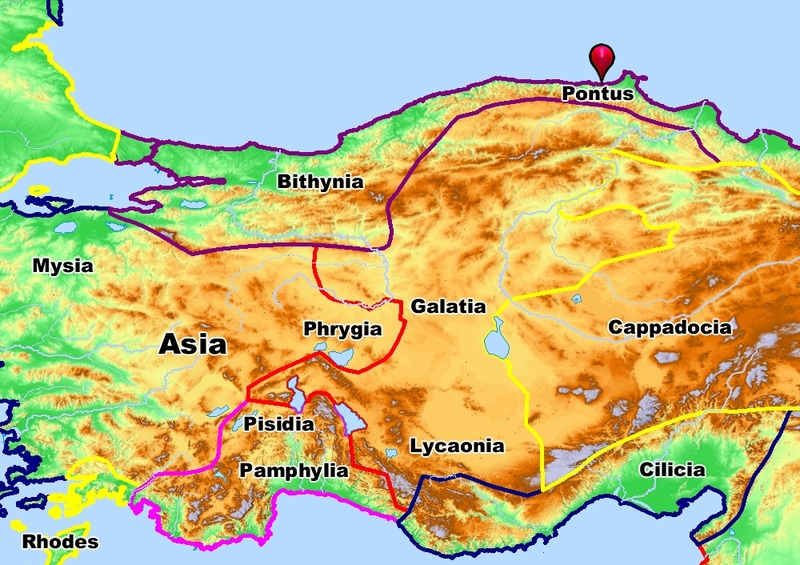 The Roman province of Pontus is mentioned three times in the Bible. There were residents of Pontus (among many other) present for the Day of Pentecost in Acts 2, the day on which the Gospel message of salvation through the resurrected Christ was preached for the first time: “Parthians and Medes and Elamites, and residents of Mesopotamia, Judea and Cappadocia, Pontus and Asia” (Acts 2:9). Paul’s dear friend and fellow-tentmaker Apollos, was from Pontus: “And he found a Jew named Aquila, a native of Pontus, having recently come from Italy with his wife Priscilla, because Claudius had commanded all the Jews to leave Rome” (Acts 18:2). The Apostle Peter wrote the letter of 1 Peter to Christians in Pontus (and other Roman provinces): “Peter, an apostle of Jesus Christ, To those who reside as aliens, scattered throughout Pontus, Galatia, Cappadocia, Asia, and Bithynia. . .” (1 Pet. 1:1). Samsun (also known as Amisus) was a major port city of Pontus located on the Black Sea. This is in Turkey’s territory today. Samsun, port city of Pontus. Photo by Leon Mauldin. 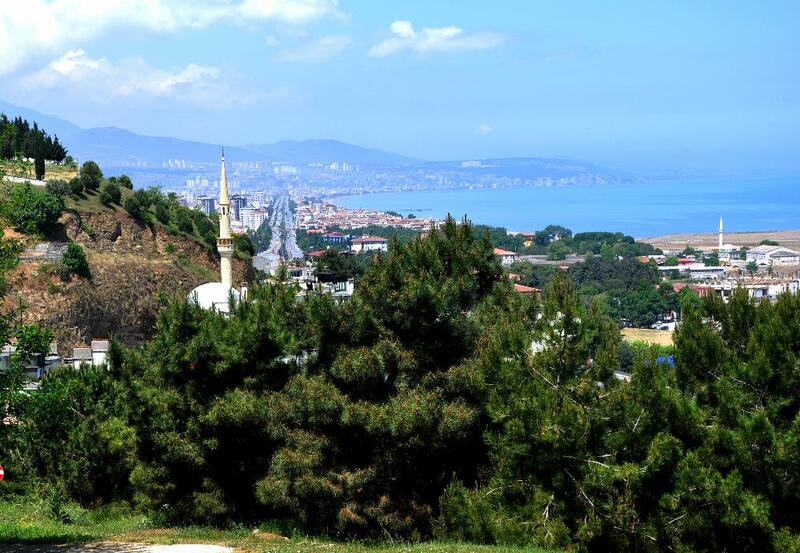 Many scholars believe that the messenger of 1 Peter (& 2 Peter) would have stopped here at Samsun. I concur. See Ferrell Jenkins here and here. Valley of Sorek. Photo by Leon Mauldin. She used to sit under the palm tree of Deborah between Ramah and Bethel in the hill country of Ephraim; and the sons of Israel came up to her for judgment. Now she sent and summoned Barak the son of Abinoam from Kedesh-naphtali, and said to him, “Behold, the LORD, the God of Israel, has commanded, ‘Go and march to Mount Tabor, and take with you ten thousand men from the sons of Naphtali and from the sons of Zebulun'” (Judges 4:5-6). Mt. Tabor in Israel. Photo by Leon Mauldin. 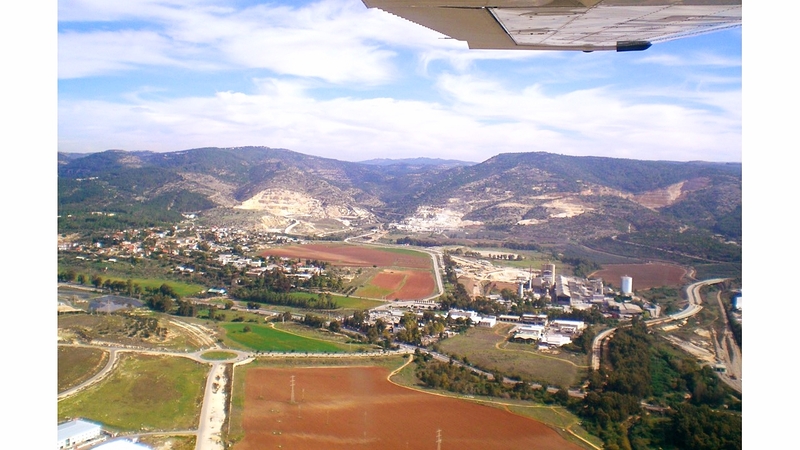 Mountain in the valley of Jezreel. 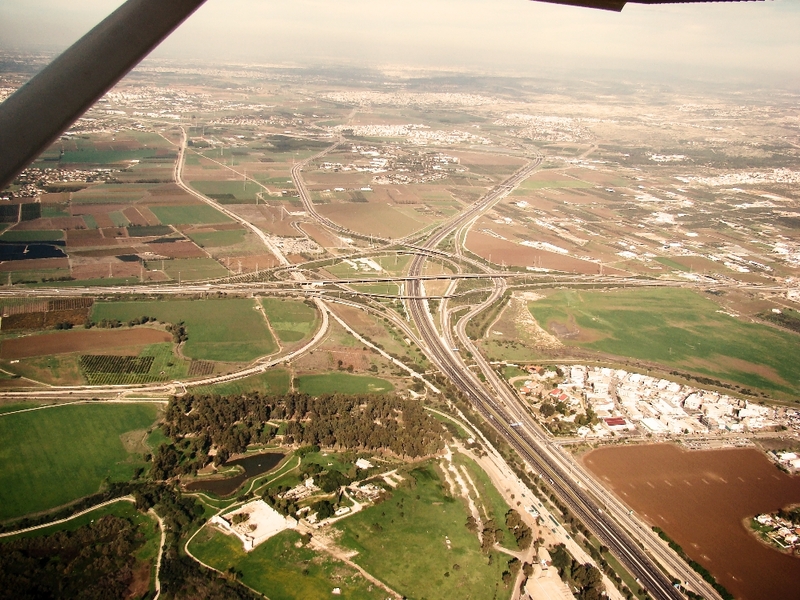 About six miles east of Nazareth, it has played an important role in Israel’s history since the period of the conquest. It served as a boundary point for the tribes of Naphtali, Issachar, and Zebulun (Josh. 19:12, 22), where the tribes worshiped early (Deut. 33:18–19). Barak gathered an army at Tabor to defend against Sisera (Judg. 4:6). Apparently, it was the site of false worship (Hos. 5:1). Tradition holds that Tabor was the site of Jesus’ transfiguration (Mark 9:2), although no evidence exists to validate the claim. Note the last statement in the above quotation, that no evidence exists that Mt. Tabor was the site of the transfiguration. Contextually the location of Mt. Hermon is to be preferred (Matt. 17:1), as it is situated in the vicinity of Caesarea Philippi where Jesus and the disciples were in Mt. 16. You are currently browsing the Leon's Message Board blog archives for December, 2014.